Living a Fit and Full Life: Head Back to School in Style with the All New Lugz Men’s Rivington Mid Shoes! + Giveaway! Head Back to School in Style with the All New Lugz Men’s Rivington Mid Shoes! + Giveaway! Keep your casual perspective in check with the Men’s Rivington Mid canvas sneaker. This comfortable and casual cool lace-up sneaker features a double mock stitch, vulcanized construction, cotton drill lining and a durable rubber outsole. Enter to Win a Pair of Lugz Men’s Rivington Mid Shoes! Head back to school in style with the all new Lugz Men’s Rivington Mid Shoes! My husband loves his Lugz Men’s Rivington Mid Shoes. He also loves how comfortable they are! They're a tad higher on the ankle than your traditional canvas shoe but look extremely stylish. They look great with a pair of jeans and even with shorts. 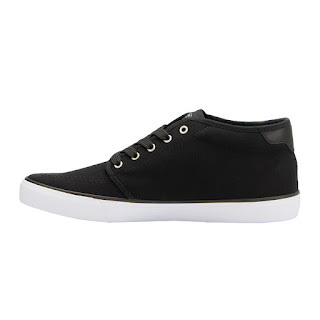 The Lugz Men’s Rivington Mid Shoes are extremely versatile and seem to be extremely well made. 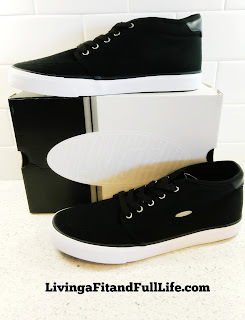 The Lugz Men’s Rivington Mid Shoes are my husbands go to shoes when he's not in the office and would make the perfect shoes to head back to school with this year!